We have helped a number of small businesses and entrepreneurs turn their ideas into reality. Our hands-on approach to technology means we have a wide variety of experience in product development – we can assist with developing your idea and turning it into a functional prototype. Take a look at some of our skills and capabilities below. We can rapidly develop software for a functional prototype of your idea. We believe that low-cost development platforms such as Arduino are ideal for this sort of development. We can also develop fully featured Windows user interfaces for customer interfaces to your prototype. Don’t allow your idea be let down by a poorly designed GUI! We can interface these with a wide range of sensors and actuators, whether they are standalone or part of a networked/distributed system. 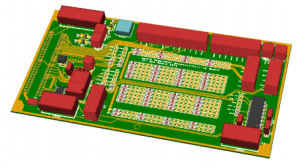 We have in-house capability for prototyping circuits, schematic capture and PCB layout. Where more advanced designs are required, we have access to a number of highly experienced electronics engineers with experience of high speed digital and analogue design. With an in-house 3D Printer, we can produce high-quality 3D prints for enclosures and custom parts for your idea. We have in-house capability to model simple parts mechanical parts and PCB enclosures and we can draw upon a number of experienced mechanical design engineers for more complicated part/assembly design work. 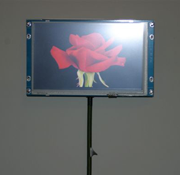 Baynes & Co were looking for an electronic display to show a slow-motion video of a rose opening as a creative art installation. We helped them source the appropriate hardware and developed an innovative solution. The prototype unit went on display at the Rugby Art Gallery in 2012.